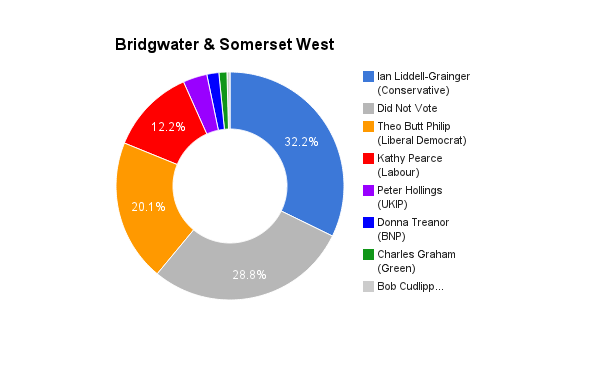 Bridgwater & West Somerset is located in Somerset in the south west of England. The seat was created in 2010. The current member of parliament is the Conservative party’s Ian Liddell-Grainger who has served since 2010 (2001-2010 in Bridgwater).